Greetings to you in the Name of our LORD and SAVIOR, JESUS CHRIST! 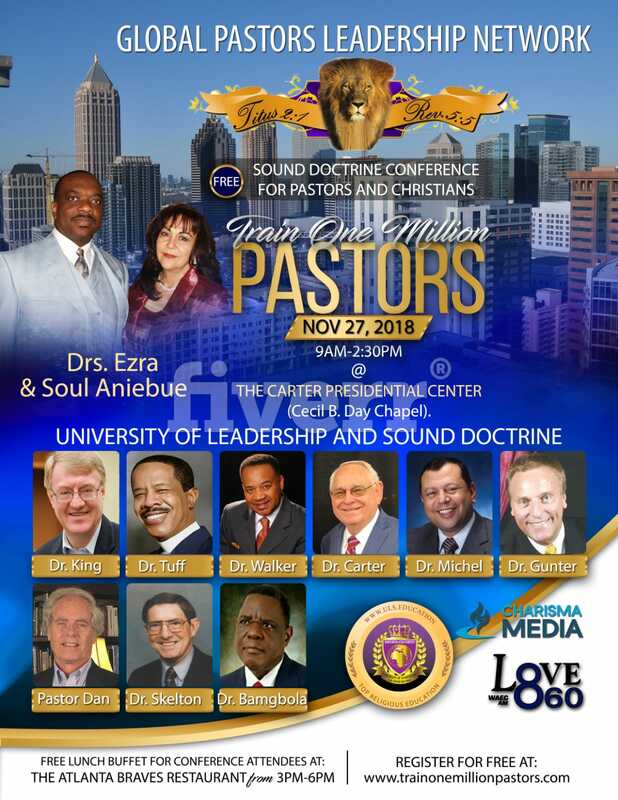 Sound Doctrine Preacher Directory and Train One Million Pastors Project is the global sound doctrine and leadership training efforts by the Global Pastors Leadership Network, Inc. (GPLN). The primary goal of GPLN is to train and equip pastors worldwide to live, preach and teach sound doctrine. Number Two: This site presents sound doctrine lectures and leadership conferences, advanced religious leadership lectures, religious certificates, religious degrees through our relationship with religious universities, and other pastoral educational resources for training and equipping pastors and Christians around the world. Number Three: Sounddoctrinepreacher.directory and trainonemillionpastors.com is the official sites of GPLN. It provides GPLN conferences and other related information. I will read my Bible every single day of my life. I will live it, teach it to my spouse and children, and then teach it to the world. 2 Tim. 2:15; Deut. 6; Ezra 7:10.